Akividu is famous for its agriculture (paddy fields) and the rice, fish and prawn exports. 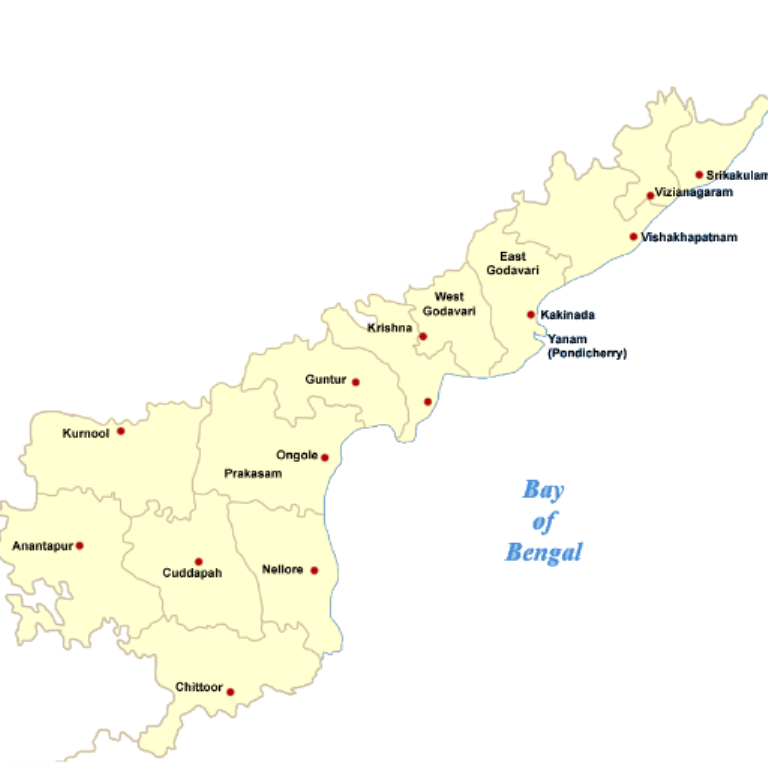 In Fifty’s there were two of the largest rice mills in West Godavari District located in Akividu. One on the north side of Railway station on the shore of Kolleru lake, and the other on the southeast corner on the bank of Venkayya Canal (a furlong or so from road bridge on the Venkayya Canal). Paddy was loaded into Rail Goods compartments from north side of the Railway station. An ice factory and a soap factory were operated close to south side of Railway station. Fish packed into bamboo woven baskets with crushed ice and husk, and live fish into tin barrels filled with water, and then loaded on to trains from the west side of the Railway Station Platform. This area of the Platform had fish stench always. The second largest Sweet Water Lake in the state, Kolleru, recedes into Upputeru at Akividu town. In fact, Akividu located at the southeast shore of Kolleru lake. Is Akividu a village or town? Officially it is not a Municipality but a Panchayat and Firca. Yet it has all the trappings of a town. This village/town had floating population always from neighbouring villages and villages from Kolleru Lake as well. And it was part of Bhimavaram taluk then (now called ‘Mandal’). Akividu was awarded with Block Development Office part of reorganization from former Zilla Boards to Zilla Parishads and Panchayat Samithis, (as part of Central Government implementation of Panchayat Raj local governments). Akividu has distinct borders, Kolleru Lake on the North, Venkayya Canal flows from North to Southwest, and Upputeru on the West. To the south along the banks of Venkayya canal are villages Aibhimavaram, Cherukumilli, Elurupadu and Juvvalapalem. Venkayya canal merges into Upputeru right after Juvvalapalem locks, and Upputeru then travels southeastward where Yenamadurru drain merges into it, after that it will eventually flows into Bay of Bengal. To the southeast are villages Ajjamuru and Kuppanpudi. And towards east are Cherukuwada, Undi, and Bhimavaram. To the north are villages Gummuluru, Taratava, Chinna and Peddakaapavarms. To the northwest are villages Dharmapuri Agraharam, Siddapuram, Nandamillipadu and others in Kolleru Lake, Chettunnapadu etc. To the west are villages Alapadu, Pallevada and Kaikalur. Akividu had the distinction of serving people of all major religions, Hindu, Muslim and Christian. There were Temples, Masjids and Churches. The town well represented with majority of Hindu castes – Brahmins, Vysyas, Kshatriyas, Reddys, Kaapus, Velamas, Padmasaalis, Kamsaalis, Thoorpu Kaapus, Agnikula Khastriyas, Gavarlu, Mangalis, Chaakalis, Daasarlu, Maalas, Maadigas etc. There were Muslims and Christians (Canadian Baptists, Roman Catholic and Evangilical). It was and is a peaceful town, and tolerant to every creed and sect. In fact Elder Galib Saheb went on Haaj to Mecca, Saudi Arabia in the fifties. A lot of town’s people gave him send off and as well received him on his return from Haaj at the railway station. In late nineteen hundreds Canadian Baptist Missionaries established Field Head Quarters at Akividu. They built CBM Church with tower and bell, which was also venue for CBM Higher Elementary School. It was fun to watch standing under the tower when the bell rang. People used to climb an iron ladder to the next level, where they rang the bell using the rope hanging from the bell located at the top of tower. Missionary Wolverton donated land for the construction of houses for Christians beside the Higher Elementary School, which is known as Wolverton peta. Memorable events were festivals of Sankraantri, Vinayaka Chaviti, Navaratri, Deepavali, Ramzaan, Christmas, Easter and New Year celebrations. Late night dramas, dances and musical presentations during Navaraatri celebrations (at Potti Sree Ramulu's statue), rather unforgettable events of enjoyment. Twice a year the town becomes a flotilla of people moving back and forth during Kolleti Peddintlammavari Theertham and Subramanyeswara Swamy Shasti. Boats full of people leave for Kolleti Kota and back to Akividu day and night. Railway station, bus stand, movie theaters, market places, and practically every piece of vacant land filled with people. A beautiful sight to watch from the lake shore as the boats leave with passengers in the evenings and into the night for Peddintlammavari temple. Akividu has a Railway station and a Bus Stand providing conveyance to all corners of the West Godavari district. There was no road bridge on Upputeru at that time, and all buses from West Godavari and Krishna districts were halt and parked on either side banks of Upputeru. There was no A.P.S.R.T.C at that time, and most buses were operated by private owners. The bridge was constructed and opened by our former Chief Minister, Neelam Sanjiva Reddy in mid fifties. The bus stand had no shed or permanent structure and it was located in front of Venkatalaxmi theatre. Buses were stopped on either side of the road, drivers and conductors used to take coffee and lunch breaks. There was a coffee hotel, operating 24 hours, in the theatre complex facing the road and adjacent to the stream (బొది). On the other side of the stream (బొది) located hotel Ajantha owned by Thoorpu Kapu family. The destination signs on the buses (Doddipatla, Siddhantam, Tanuku, Narasapuram etc.,) were Upputeru always and never Akividu. In those days, of course, buses were privately owned and operated, stopped every where and picked up passengers. There were no designated bus stops. The railway lines at that time were Meter Gauge from Narasapuram to Gudivada and Guntur, Machilipatnam to Guntur, Guntur to Macherla, and Narasapuram to Nidadavole. People used to call these passenger trains 'Lankanaala Boats' because they were extremely slow. During fifties Broad Gauge lines were laid and Broad Gauge trains were introduced, and that was the end of Meter Gauge trains. Only bridge on Upputeru was railway bridge. Roads to Dharmapuri Agraharam, Siddapuram, Nandamillipadu, Ajjamuru and Kuppanapudi were dusty paths, and parts of it were under water during rainy season. To go to Elurupadu or Chinakaapavaram rent a bike (Branch Cycle Stands), or hire a bullock cart (Vonteddubandi) or horse buggy (Jatka). 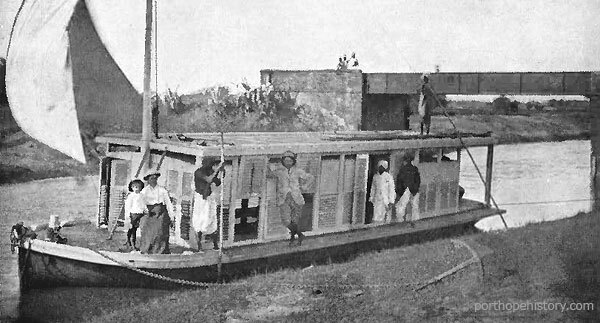 The best way to travel in those days was walk, especially, on a moonlit night group of people travel together to attend a wedding or any ceremony. Red gravel roads were laid to Cherukumilli to the south and Chinakaapavarm to the north. From Cherukumilli to Elurupadu it was mud (clay, black gold - Nalla Regadi) road. From west of Venkayya canal to heart of Yelurupadu village (P.S. Elementary School) it was gravel road. On the other side (east) of Venkayya Canal Juvvalapalem village to Bhimavaram it was gravel road just like Akividu main road. Most roads in our area, and at length coastal Andhra were laid beside fresh water canals, with plenty of trees on the side. Beautiful scenaries through and through. Akividu has a hospital, Star of Hope Hospital, built and operated by Canadian Baptist Missioneries. "Doctors Everett Smith and Pearl Chute along with their sister, a nurse, established hospitals in Pithapuram and Akidu. This medical missionary family from the Niagara area (Canada) arrived in India in the late nineteenth century. Chute opened the Star of Hope Hospital in Akidu, and her brother founded a hospital at Pithapuram. In 1896, Chute married and moved to Akidu. On the second night of her honeymoon, Chute heard a cry from her verandah asking for help. She responded to the cry and found a pregnant woman in labor. This event eventually led to the founding of medical missionary operations in the Akidu area and to the establishment of the Star of Hope Hospital in 1898." In 1898, another need was addressed with the opening of the Star of Hope Hospital at Akividu, under the direction of Dr. Pearl Smith. They also built quarters for nurses, compounders and doctors on the south side of main high way, opposite to hospital. There were few L.M.P.s Dr K. V. Subba Rao, Dr Mathi Jeevaratnam and Dr Bodamma, everyone used to call her Dr Bodamma (never knew her actual name). And there were M.B.B.S. doctors Dr Janaki, Star of Hope Hospital and Dr Hye, he had his own dispensary. Of course there were Ayurvedic and Unani Naturopathic Practitioners. There was a dispensary on the street beside Venkatalaxmi theatre operated by Doredla Marthamma (not sure whether she was licenced practioner). There was one line Telephone service at the Railway Station, Post Office and CBM Missionary Quarters. Spinster missionaries on the south side of main highway on the west side of Venkayya canal and the married missionaries on north side of the highway, beside girls dormitory of CBM Higher Elementary School. Street lighting at that time was from kerosene lamp stands at street corners around the town. Panchayat workers go around the town with a ladder and kerosene cans. They clean, fill kerosene and light the lamps at dusk and turn them off at dawn. The only place in fifties which had power (electricity) in the town was at Star of Hope Hospital. It was produced from a generator on steam boat located on the east bank of Venkayya canal beside the hospital fence. Lights were on for couple of hours at dusk. The hydro poles and lines were laid around end of fifties. Akividu had a fully functional Post Office, where you can send telegrams, buy money orders, send registered mail and open a Postal Savings account. Of course there was trunk call facility, which was a small rectangle closet, you can talk your lungs out. Mail was delivered twice a day, morning and evening, by a Postman who walked or rode a bicycle along his route. In addition money orders and Telegrams were delivered by a designated Postman. Akividu had a Police Station with Sub-Inspector, Head Constable, Writer and Policemen. In those days Policemen and Elementary School Teachers were most under paid. Akividu had well established Public and Christian schools. There was a CBM Higher Elementary School with separate dormitory and boarding facilities for boys and girls, the Boarding School for Girls was established in 1883. Students at that school had to write Eighth Standard Public Examination. The playground between this school and Wolverton peta was the venue for several soccer tournaments at that time. Late Sri Pulavarthy Laxamana Swamy had kindly donated land and monies for the construction of P.L.S.Z.P. High School (it was P.L.S. Board High School before Zilla Parishads were introduced in the A.P.). Here students had to complete a curriculum of six years - I to VI Form (S.S.L.C) and then write S.S.L.C. Public Exam. In those days Yelurupadu High School S.S.L.C. students had to come to P.L.S.Z.P. High School to write the public examinations. There was small coffee stall, a thatched hut in front of the school (east side), run by a wife and husband team (Vysyas). As you go past the main entrance, to the south there was a shed where kids ate their lunches, and beside it was a fresh water well. Never did students drank the water from the pond beside the shed. The west side of the high school was incomplete except for the wall, class rooms were not completed. Behind that wall on the west side was large play ground for soccer (football) and baseball. The vacant lands in the front (east side) and south side were also used as playgrounds. The Headmaster at that time was Sri G. Venkata Ramaraju (1955-58), who was instrumental in bringing the Inter-Mural Sports Event to Akividu, participated by all high schools in the region. The drill (Physical Education) teacher was Sri D. Radha Krishna Murthy. And Sri S. Zeccharaiah (1958-59) and Sri G. Somanadha Sastry (1959- ...) became Headmasters in succession after Sri G. Venkata Rama Raju. The High School had both Scouts and A.C.C. (Auxiliary Cadet Corps) programs for students. A.C.C. was under 12th Andhra Battery N.C.C. Bhimavaram under Capt. C.A. Iyapa. Memorable event for the A.C.C. was providing the honour guard for then Chief Minister Sri Neelam Sanjeeva Reddy at the opening ceremony of road bridge on Upputeru. Our favourite teacher was Sri Sripaada Venkata Sastry (SVS), grandson of then Telugu Poet Laureate Sripaada Krishna Sastry gaaru. An excellent teacher of Mathematics and Sciences. He encouraged us to read classic literature Mahabhaarata and Raamayana. He spent countless hours after school reciting and explaining selections of Mahabhaarata, especially 'Kunti Vilaapam', for those students who volunteered to stayed late. The class room was always full. The Pulavarthy family routinely accommodated their go-downs (warehouses), beside their home, in late fifties for the projection of educational films for students (Bell & Howell projector and reels of film) since there was no power at the high school. In those days Hindi wasn’t part of curriculum, but 'Dakshina Bharat Hindi Prachara Sabha' provided Praadhamika, Maadhyamika and Rashtrabhasha courses. Some of us learned Hindi through this institution and passed Rashatrabhasha examination. There were several other Public and Christian Elementary Schools around the town. The Central School for teachers, a three hour session, was held every third Saturday at Board Elementary School, located at on the extension of main road, towards east south of 'S'turn, at the corner of Kopparthivari and Mangalivari veedhis (streets). The Library was situated beside Potti Sreeramulu Vigrahamu. It was a single room Library with few long benches for people to sit and read. There weren't that many books in the Library in those days, but sufficient periodicals - monthlies (Chandamama etc..), weeklies (Andhra Prabha, Andhra Patrika, Visalandhra) and daily news papers were available. It has a public announcement system with one speaker on the roof of the Library. And there was one and only Medical and General Stores in the middle of town, between Pulavarthivari residence and the big Mosque. The Pharmacist whose name I forgot (Ranganayakulu garu?, if my memory serve best). He was a gentle soul and kind to every patron of the store (child and elder alike). I never come across such a nice person in my sixty and odd years of life. There were several General, Kiraana (grocery), and Cloth stores. And there were many coffee stalls and small hotels. There were several soda shops and one ice cream parlour. At "S" turn of main road to the right (east side) there were 'Cycle Sales and Repair shop' operated by Maddela family, and Dr Jeevaratnam's Dispensary, and to the north side of the road was a store where all pulses, peas, peanuts, maize etc. roasted and sold. To the left (west side) there was a big kiraana shop operated by a vysya family. On the Bandela Doddi street (stray cattle cell) that runs opposite to this kiraana shop from the main road, there were Sarada Tutorial College, Meena Biscuits distribution, and Navvaru (tape for cots) factory. There were several sweet, hot and spicy snacks (mithai) stalls around the town and in Madiwada. There were other vendors, with baskets full of home made snacks, breads and fruits, selling at theatres and bus stand late into the night. The Meena Biscuits retail store located on the Bandela Doddi street, between Bandela Doddi and Navvaru factory. The store owner had a specially designed cart on bicycle wheels with see through glass around, neatly stacked Naan breads, Buns and Biscuits of all varieties inside. The owner of this cart was on the road before day break and treads towards hospital first and then around the town. For entertainment, Akividu had one permanent theatre, Venkata Laxmi, and two touring talkies in those years. Both Telugu and Hindi movies were shown. During the presentation of Hindi movies they had a prompter always translating dialogues into Telugu. One disadvantage of going to movies then was smoking and it wasn’t banned then. Four Anas (Paavula) got us a seat on the floor of movie theatre. Two Kaanies (equivalent to two paise now) fetched us a handful of roasted Bataanies (Peas) or peanuts, or a Rice crispy (Muramuraalu) or Maize (Pelaalu) Jiggery ball (Vunda), these were of no small size. We grew up with Anas, Kaanies for currency (with King George VI's head on the coins), Miles and Furlongs for distance, and Veesas and Tulas for weights. The current currency and metric system weren’t introduced until sixties. The Shrimp (Prawn) industry, dried shrimp were processed at Muslim quarters, mostly as a cottage industry, and exported to other parts of the country. In those days most villages didn't have grocery stores. The produce for their sustenance grown in their back yards and in the farms. They raised chicken and goats, and caught fish from a brook, a pond, a canal or a lake. Big villages and towns (Palakol, Bhimavaram, Achanta, Akiveedu) had market days. 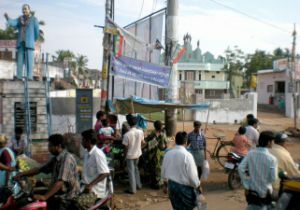 Daily Market, located close to Bus Stand, where fresh fish, shrimp, water fowl from the Kolleru Lake were sold. Meat (goat), chickens, and vegetables were always available. Vegetables were produced in villages around Akividu especially Kuppanapudi and Ajjamuru. In Madiwada the road that goes in front of the Elementary School and ends at Gummuluru road is nothing but a sandy path (puntha). This path was busy with cattle, bullock carts and labourers (who worked in the farms) in the morning and evenings. During monsoon this 'puntha' was under water many times. The Headmistress for the Elementary School at that time was Miss Panthagaani Soudamani. In front of this school on the other side of the road there was a house with small Kiraana (groceries) stores attached, owned by Kapu's family (beside the stream, bodhe). My fondest memories were to listen to records they used to play on their His Master's Voice Gramaphone with a large speaker attached to it. And at Ralla cheruvu there was a Jammi tree, at which the Vijaya Dasami procession would end with special pujas. Of course, Ralla cheruvu was a dhobi ghat, contained mostly rain water and infested with green algae. The Gummuluru Road that goes on the east of Ralla Cheruvu travels north crossing the railway gate towards Gummuluru, Chinna and Pedda Kaapavarams. Right beside the railway gate on the northwest side of Gummuluru Road were a fresh water pond and a gazebo (rest place) built by the family of Ghalib Saheb for weary travellers. Imagine how much comfort this rest place brought to those travellers from Chinakapavarm and neighbouring villages on a hot summer day whether on foot or on a bullock cart or on horse buggy or on bicycle. The Gummuluru road starts at the main road, Gudivada to Narasapuram. Right at that junction to the south was Wolverton peta, to the northwest Gudavallivari home, where their eldest son Gilbert had a Nursing Home. To the northeast there was a burial ground, and beside it was a saw mill. Cutting lumber was a two men operation, one standing on the ledge above, and the other on the ground, and they used a large saw with handles on both sides. There were other saw mills and Lumber Yards between Wolverton peta and Venkayya canal. There was a Touring Talkies located in the middle of these lumber yards. There were no banks in the village/town. The nearest banks, Andhra Bank, State Bank of India and Urban Coopertive Bank were at Bhimavaram. The Sub-Registrar's office was at Undi, Sub-Treasury office and Tahasildar's offices were at Bhimavaram. The Government Offices located at Akividu were Office of the Revenue Officer and the newly built Block Development Office north of main road beside the road bridge on Venkayya canal and Star of Hope Hospital. I recall that a gathering of Telugu Poets, 'Kavi Sammelanam', held in that premises (front of the B.D.O's Office). Creation of B.D.O's Office has brought new civil servants, V.L.Ws, Health Visitors, Social Educational Officer, Agricultural Demonstrators etc., to town. If my memory serves correct Pulavarthivari family had a Jeep and a Plymouth car, and Jupidivari family had an Ambassdor car. Other memories were the wedding celebrations at Pulavarthi and Jupidi vari homes. The bands, people carrying gas lights walking on either side of road – looked like well lit moonlight, Elephant Ambari flanked with bride and groom, lots of garlands, flowers, men and women clad in silk attires, and the air was filled with scents from flowers, agarbathis and perfumes. Village folks flock on the streets to watch these events. Travelers bungalow was located on the north side of the main road, close to Kuppanpudi road. This was a rest place for government officials and other dignitaries at that time. P.S. : The above is from my memories ... no journal maintained in those days, which I regret now very much. Wonderfully, exactly I am looking for these types of memories regarding Akividu. Can you give me your mail id. i wan to know about you. Use contact email at my profile. Very Nice to this Blogger. dear sir, my mother was from the gollapali family in akiveedu. my uncle's name is sivaram. from your narrative they were your classmates. can you give more details about yourself. Send a message to my blog email and I will send you the names of some of my classmates that I remember.